In Niffenegger's novel, a young man named Henry has the ability to time travel involuntarily. His trips into the past as well as the future happens spontaneously, but most of the time, they lead him to his wife. Through these trips, Henry learns more about his love for Clare since she was a young child until her old age. This book has a complex story line. It may be difficult to understand at first but as you keep reading, it starts making sense. It's a love story but it's not the typical one that one would see on the shelves. I liked the book because of the originality but I was also captivated by Clare. I thought that Clare's unconditional love for Henry despite his sudden absences was the sweetest thing. This is romantic story of two people so this definitely will appeal more to readers who like love stories. However, it's also a sci-fi novel, so that's an added bonus. 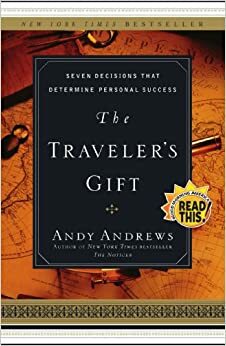 Initially, I started reading it because of the "time traveling" description of the book but I was pleasantly surprised with the romantic plotline. The Time Traveler's Wife, is a story about an art student named Clare and a librarian named Henry who have known each other since Clare was six and Henry was thirty-six. They married when Clare was twenty-three and Henry was thirty-one. This happens only because Henry is diagnosed with Chronic Displacement Disorder in which he finds himself in unusual time frames. The story is about their love for each other and is told from both their points of view. The Time Traveler's Wife was an interesting story; a little confusing at first, but once I got into it, it became a fairly emotional story. It is a classic love story, but unique on its own. I thought this book was clever and different from the usual romantic novels I have read. If you enjoy classic love stories, but with a twist, you most likely will enjoy this book. I was instantly hooked from the beginning and it makes it more enjoyable by the fact that it is told by both the character's point of view. I am sure a fair amount of people will love this novel. This book centers around the life of Holly Sykes, a seemingly normal girl from England. More importantly, it focuses on the lives that become wrapped up not only in Holly's, but the invisible struggle for power between two immortal, superhuman forces. This carefully crafted book amalgamates the lives of mortals with those to whom immortality is simply a way of life. In doing so, Mitchell creates a book that both questions and answers how valuable our time on earth is. While some parts may prove to be a bit slow, the overall intrigue of the story is not lost. The Bone Clocks is yet another title in David Mitchell's impressive repertoire of visionary novels. Enthralling story-telling, true to his style, pairs well with his cunning ability to leave you questioning even the simplest of motives. This newest novel of his is sure to capture those with a love of science fiction and honest realism alike. Louise Lambert does not know what is coming to her when she tries on a vintage pink dress! All aboard the Titanic, with rich guests, and just gorgeous gowns for every occasion. When Louise is mistaken for Mrs. Baxter, she is loving the new life on the Titanic, until the moment that she remembers that the Titanic was known for its sinking! She then tries to save her friends and loved ones, and when she returns back home, she knows more about the Titanic then she ever thought possible! 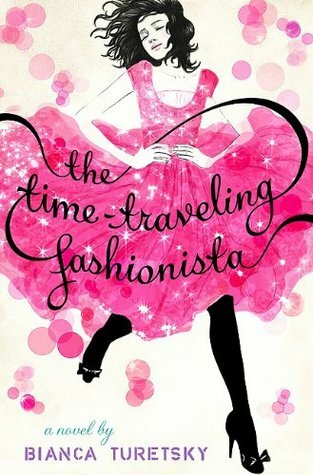 The Time-Traveling Fashionista was an amazing book to really understand everything that went on during the Titanic voyage. It was a very easy read if you are looking for something interesting but not confusing! I would recommend this book to anyone who is interested in the story of the Titanic, or anyone who is into high fashion! This book is about an 11-year-old boy named Gregor who lived in New York. Gregor's dad went missing about 2 years ago, and nobody could understand why. One afternoon, while Gregor was taking care of his baby sister Boots, Gregor was sucked into a mysterious hole in his laundry room along with his sister. They discover a land called the Underland. It is a world of bats, roaches, spiders, and rats. Gregor finds out that his father had also disappeared in this way. He must, along with various other friendly creatures, go on a quest to save his dad. I chose to read this book because I enjoyed other books by the author. I liked it because of the suspense involved in it. It also had quite a few humorous moments. I would recommend this book to someone who is interested in adventure and humor if you don't have anything better to read. This book is about a wife whose beloved is a time traveler, and she must endure every obstacle to maintain and strengthen their love. This book shows how two people, Clare and Henry, that have completely different lives can still love and hold a strong bond. This novel will reach your heart and reveal hardships of a romantic couple. Time Traveler's Wife will show the reader how through time, all secrets will suddenly be revealed. It is overall an amazing book that will captivate the reader's attention from the first page. I recommend this book to teens above fourteen, because the book does contain many intense scenes not suitable for young readers. If you like romantic books with a hint of action and mystery, this book is the one for you!